College fund savings can be difficult for many families to build. It’s not easy saving up for college, as you may already know. However, when you have a plan you definitely increase your chances of getting to your goal. It can take tens of thousands of dollars to get one child through college and if they want to extend their education past that, this number will only rise. So what you can do to build a college fund savings? Start saving early. It’s never too soon to start saving for college. Seriously, if you begin when your child is born, you have 18 years to save and sometimes, that’s not even enough. Even if you don’t have a lot to start with, go ahead and start saving. It will also get you into the habit of doing it so that you continue to do it regularly, even when you have more to put in. Save your money in the most efficient way. While stats have shown us that more parents are saving for their kids’ college than ever before, most are not saving in the best ways. This means they could be getting a lot more for their money and efforts. Stats show that more than 40% of college fund savings are in low-interest or no-interest accounts like savings and checking accounts. A 529 college savings plan is a much better way of meeting your savings goals. Always apply for financial aid. 60% of undergraduate students get some type of financial aid and this can reduce the amount you owe by 20-40% in some cases, making the amount you need to save up for less. Avoid drawing from retirement funds. If possible, don’t dip into retirement funds to pay for college. If you have to, do so sparingly. Withdrawals will count as income on the next year’s application so taking too much can hurt your chances at financial aid the following year. It also depletes the retirement fund, which is never a good option for parents. 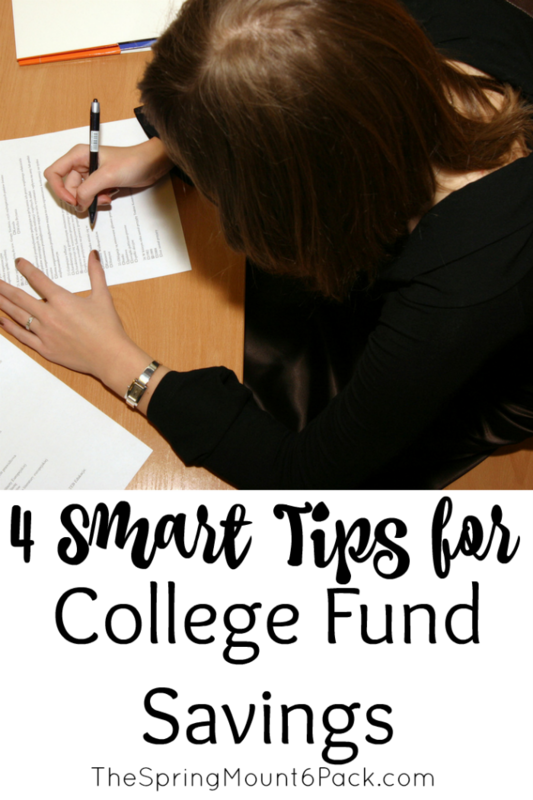 With these four smart tips for college fund savings, you can do it right. Even if you can’t pay for all of your child’s college, every little bit helps take the burden off. Here are some books from Amazon that focus on saving for college.